← Celebrating a loss: how Guayaquileños can find reason to celebrate even when their soccer team loses a match! Roads play a vital role in the development of any country – without them, no goods can be transported, whether agricultural or industrial, whether to local markets or for export. A number of academics have demonstrated and quantified the importance of roads for reducing poverty. Moreover, bad roads are bad for tourism. 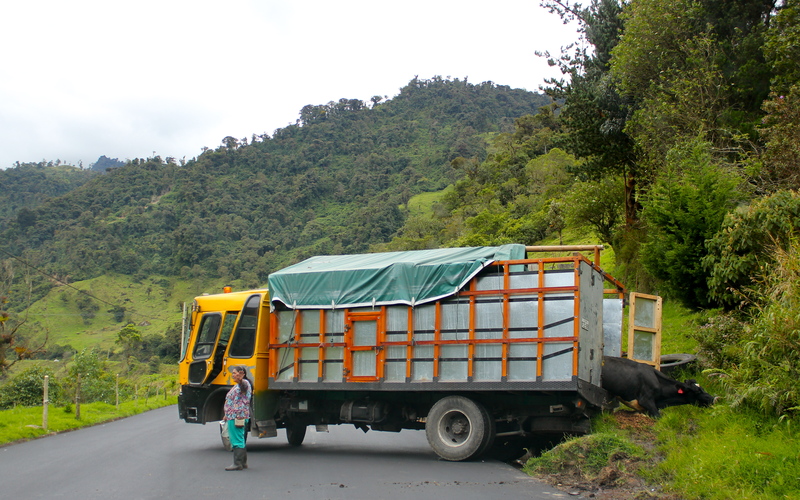 A good road is important given the many hazards of travel in Ecuador, especially if you are a cow. And so in one of the most challenging places on Earth to build roads, the president of Ecuador, Rafael Correa, is doing so at an impressive pace. Though Correa is a controversial figure, loathed by most of Ecuador’s wealthy and also by many indigenous groups, even his critics applaud the new transit networks. 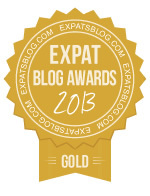 If you have ever driven on roads in a developing country you may understand the significance. Imagine a dirt road on a steep mountain, with a sheer drop of about 100 meters (about 300 feet or so) off the side of the road. The road is barely wide enough for two lanes, so one must slow down to pass an oncoming car – because, of course, there are no guard rails, so if you try to give a bit too much room and you overshoot the edge, down you go. This is what roads in Ecuador were like less than a decade ago. In recent years, however, Correa has committed $5 billion to improving Ecuadorian highways, bridges and tunnels – and creating thousands of jobs in the process. The results are worth noting. 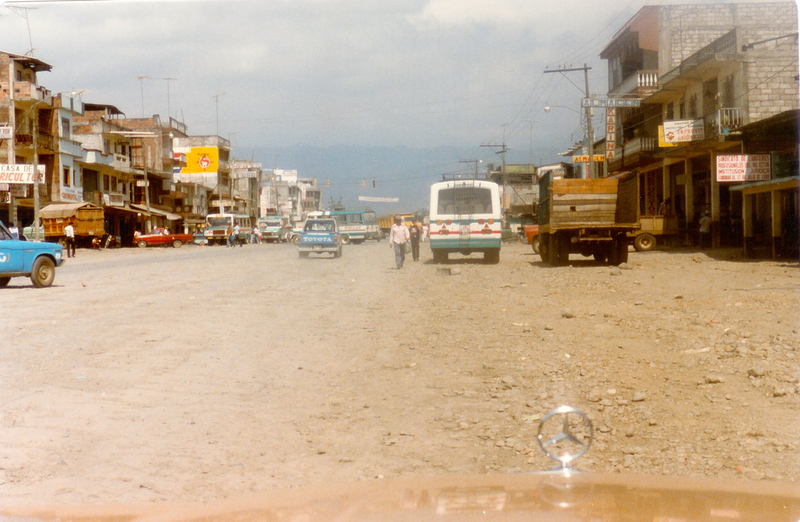 My dad shared this picture he took back in the 1980s of a major roadway in one of the flat areas of Ecuador. Also included are a few shots from our recent travels of the work being done. Major throughway circa 1985, Ecuador. Ecuador has some of the most complicated topography on Earth: We have some of the largest, steepest mountains, and we have some of the densest, wettest forests – and to top it off, we have dramatic rainy and dry seasons that cause constant landslides. Roads high up in the mountains and deep into the rainforest are a challenge to build and maintain. One thing is for sure: Thanks to the new roads, national tourism has dramatically increased. Towns and sights that were visited only by the most adventurous travelers a few years ago are now visited by many Ecuadorians. Improved transit has boosted national pride and has also paved the way for greater local interest in conservation. Of course, the oil and mining industries benefit as well, but so do residents of small villages: Ten years ago, residents in remote corners of the country may have needed to ride in a canoe or on a horse to the nearest hospital; now an ambulance might make it straight to your town, or to a closer pick-up point. Electricity and communication lines tend to follow roads too. Though there are tradeoffs, Correa’s roads to “nowhere” are definitely taking the country somewhere. This entry was posted in Ecuador, Our Daily Life, Politics. Bookmark the permalink.